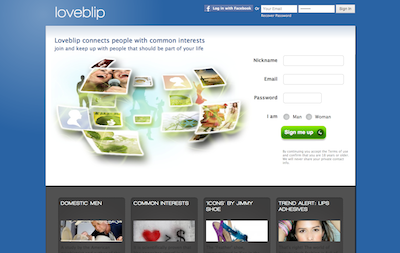 Loveblip is the newest site to be released that makes searching for your other half easier than it was before. You see, on this site people can define their interests and begin interacting with those who share their very same likes and traits. The aim of the site is to provide users of Loveblip with a chance to find their significant ones much faster, minimizing the amount of manual filtering that has to be done. And it is an aim it truly achieves by letting everybody make it perfectly clear what he is looking for, and what he’s not interested in. Only those who fall within these parameters he has defined are being brought into his attention.